An MBA in Entrepreneurship is a program that is designed to help people who are entrepreneurial at heart and want to start a business avoid making common startup mistakes. If you have already spent four or more years to earn your bachelor’s degree and you are contemplating graduate studies, you should consider how a Master of Business Administration can benefit you in the long run. Earning an MBA will cost you both time and money, but the costs and opportunity costs can most definitely offer you a return on your investment if you are serious about putting what you learn to use. Read this guide on entrepreneurship programs to find out what you will learn and who the programs are geared towards. What Will Students Learn in an MBA Program with an Emphasis on Entrepreneurship? What is Unique of a Entrepreneurship Management Major? Most programs require that you read lessons in textbooks and pass exams to pass. While this is true to an extent, the MBA in Entrepreneurship program is unique in many ways. In addition to taking tests, you will need to have a platform for experiential learning, according to US News and World Report. You need to have the inherent ability to start a business and the network and the tools to see just what it takes to start a business and make it grow. With the right business school, you should have the perfect resources and support to do just about anything while you create a business plan or complete a practicum project. Who Should Take an MBA with a Focus on Entrepreneurship? If you are weighing the pros and cons of returning back to school to earn a business degree, you need to know just what you can take from the program. 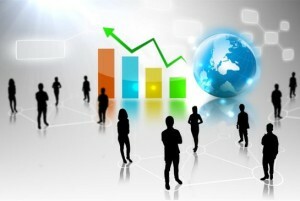 Many prospective business owners think that you do not need a degree to become a businessman. While this is true for those who are very experienced or surrounded by those that they can go to as a mentor, the proper education and training can save you a small fortune. You will get a competitive advantage while you are looking for funding or even creating your business plan. Mistakes can cost a lot of money and so can hiring a consultant to help with planning. When you complete a program, you not only become well-versed in everything from product design to venture capitalism, you will also have a professor who can help point out where your planning needs work. Now that you know why earning your MBA can help you, you have to review admissions requirements. You will need your transcripts from when you earned your bachelor’s. You will also need to have your GMAT scores submitted to the school you would like to apply to, according to GMAT. Once you complete your application, you will be one step closer to entering an MBA in Entrepreneurship program.